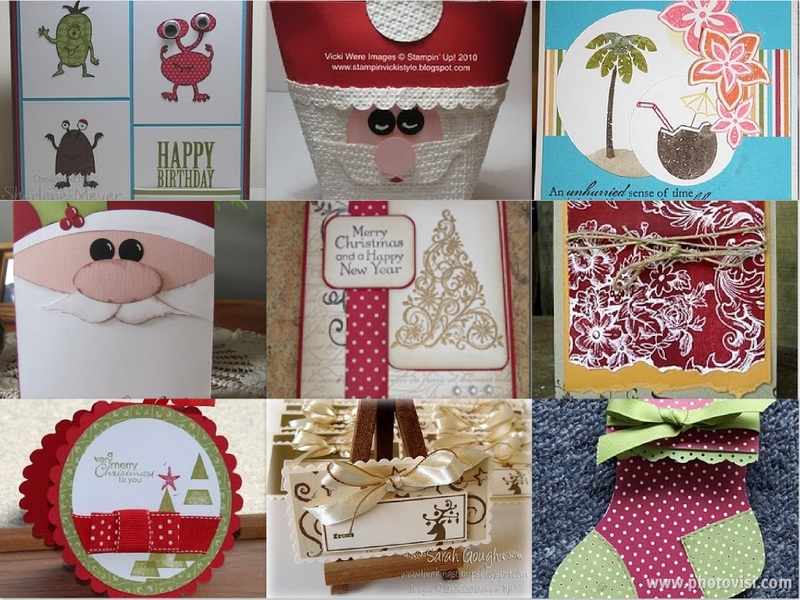 I'm just to busy to blog & I certainly do need to apologies to Narelle who did our Fab 9 & I haven't had a chance to post them up for you to see. Today is the first day of my holidays which I've actually felt like I'm rested - just as well as I'm back to work next Wednesday! I sincerely hope that everyone's Christmas celebrations are fantabulous (a Karen word) & I know Narelle will forgive me as she is my winner for leaving 10 blog comments - when I see her next I'll hand over a roll of Baja Breezed striped grosgrain ribbon which is retired but still a SU! colour. Once again Merry Christmas & all the very best for 2011. 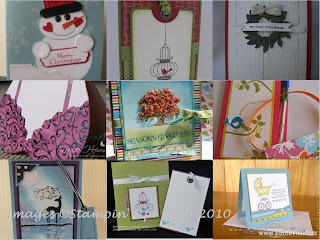 I will be blog hopping around starting Monday January 10th looking for the Fab 9 picks on the NZ blogs for the week. I'm definitely on holiday mode! Apologies I finished work for the year on Friday but have been busy with launch parties & just also been a blob as yah I'm on holiday so here's my top picks for the week ending Friday 10th. Narelle Hoggard has kindly offered to do the upcoming week's picks, anyone else like to have a go don't be shy do volunteer if nothing else you get to see some great looking stuff on all the blogs. With the coming season of good will to all men I challenge everyone that uses this site as their starting place for blog hopping to leave comments on 10 blogs from NZ that are listed here - when you have left 10 comments leave a comment below & we'll have a wee draw of something I've got that has retired. 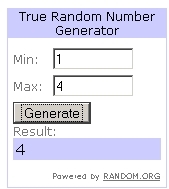 This will close on Friday 17th and I'll announce the winner with Narelle's picks! And so new stamps for us to go OHH and add to our wishlist for Santa.